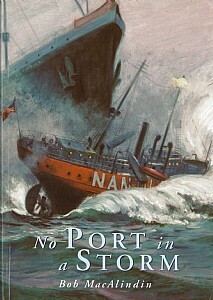 The ships of this book evoke none of the usual romantic images of ships and yet may be the noblest of all. Invariably painted a gaudy red, no other ships spent more time at sea yet sailed fewer miles, their crews compelled to scan the same water and stretch of coastline for the bulk of their working lives. The life of a lightshipman in a hurricane was a sleepless nightmare of holding on, body braced against every combination of rolling and pitching, with tons of water burying the ship. This enthralling book describes 18 factual adventures from many countries including America, Denmark, Ireland, Canada, England, Holland, Scotland, Australia and Belgium giving vivid accounts of life aboard and the many hazards and disasters that occurred.